A total of 30,000 children have been referred to the Office of Refugee Resettlement so far this fiscal year, HHS said. There were 40,810 referrals in all of fiscal year 2017. Nearly 11,000 migrant children are in government custody without their parents, according to federal health officials — a 22 percent increase from April as the Trump administration has ramped up prosecution of parents who cross the border with their children. A total of 10,852 migrant children were in shelters run by the Office of Refugee Resettlement (ORR), part of the Department of Health and Human Services (HHS), a spokesman with the department's Administration for Children and Families told NBC News on Wednesday. Those shelters are currently at 95 percent capacity, meaning they have 575 open beds, he said. On Tuesday, The Washington Post first reported, 10,773 children were in government shelters — indicating an increase of 79 children in just one day. HHS spokesman Kenneth Wolfe said Wednesday that 8,887 migrant children were in shelters on April 30, meaning there was a 22 percent increase in the last month. The increase comes after Attorney General Jeff Sessions said this month that the administration was going to take a “zero tolerance” approach by seeking to prosecute all families crossing the border illegally. Now, when parents are charged with improper entry, a misdemeanor on the first offense, they are jailed and separated from their children. The children are then referred to the ORR. The numbers do not include children who are in the care of family sponsors, Wolfe said, noting that about 93 percent of all unaccompanied children are released to sponsors. And over 30,000 children have been referred to ORR so far in fiscal year 2018, he said. There were 40,810 referrals in all of fiscal year 2017. Wolfe added that the government has 1,218 beds on reserve if they are needed. And while those numbers do not specify children who actually arrived at the border unaccompanied, or children who were rendered unaccompanied after they were separated from their families, immigrant activists said they were not surprised at the increase. “It is not a surprise at all that ORR is running at incredibly high rates of capacity,” said Jennifer Podkul, director of policy at Kids in Need of Defense (KIND), a group that represents migrant children. 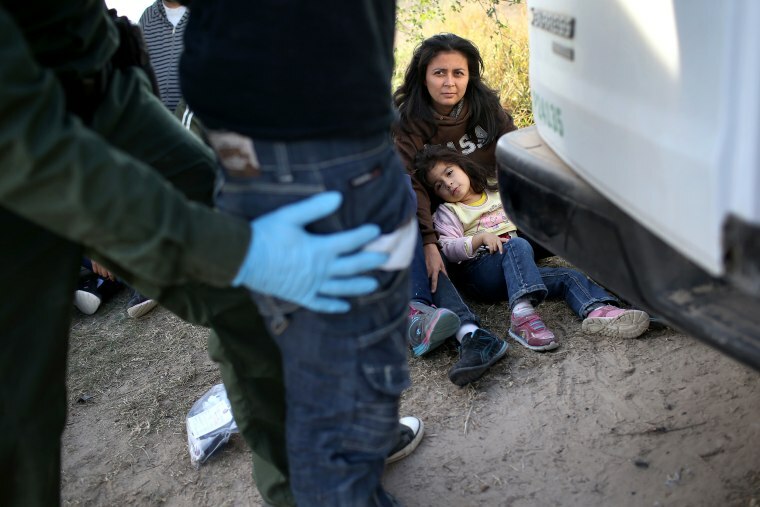 She said the situation was much different from when a surge of Central American children sought to cross the border in 2014. The average time a child is in ORR shelters is 56 days, Wolfe said.